Unpacking ‘The Iliad’ as a reader is one thing; adapting it for comics is a hurdle of a different magnitude. Enter Gareth Hinds, the Vermont-born artist who has reworked literary classics from Shakespeare, Edgar Allan Poe and more. 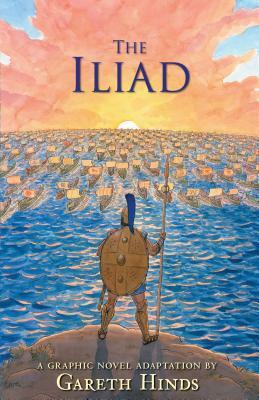 His magnificently realized graphic telling of ‘The Iliad’ — in its wealth of muted watercolored hues and evocative landscapes — condenses a more than 20-book-length poem into 251 pages of narrative comics. It follows an equally sweeping interpretation of “The Odyssey,” which had a loose, sketchbook-style look as compared with its spiffy successor.